In a world of increasing urban cities with skyscrapers, owning outdoor living spaces is a luxury. You might not appreciate it, but you should. If you are one of the lucky ones, here are some ideas to make the most of your little piece of land. 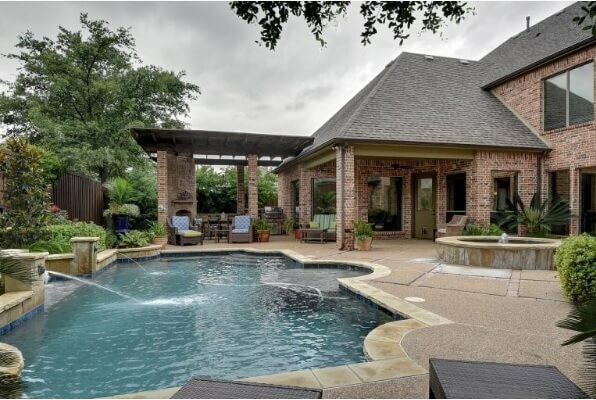 But before that, there are some essential elements to keep in mind when designing your outdoor living space: the architectural style of the house, the morphology of the outdoor space, and the natural environment. The outdoor style must be linked to the house to which it belongs. If your home has a rational character of pure geometric forms and few colors, the outdoor space should maintain continuity with this style. You can achieve outdoor living spaces of this type with a few contrasting materials and projecting textures and finishes from the inside to the outside. The best and clearest example of how to do this is spatial unification across the pavement. You can use a finish that suits the needs of outdoor areas (e.g. a finish with anti-slip properties to prevent falls) with the same format and color as the one inside the house. In this case, the large format stone pavements are perfect for integrating areas such as the pool and terrace. 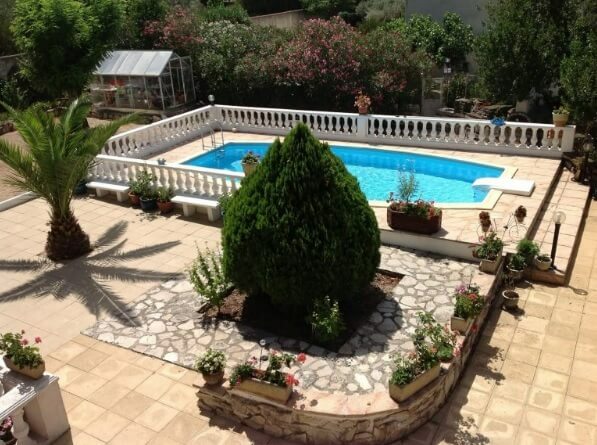 You can use a pavement in flagstone for the terrace, the rim of the pool and even the inner facings. An option is to create paved areas not gardened, such as outdoor kitchen cabanas, house perimeters or walkways, maintaining the same integrator material present in the rest of the house such as in the dining room or living room. If the house has a traditional character, the selection of materials for the outdoor rooms should match the essence of the exterior of the house. TIP: Use Our Real-Time Home Remodeling Calculator and Find Out in Minutes How Much Your Remodel Will Cost. The integration achieved through these resources helps you get an area where, through the use of colors, textures, and finishes, harmony prevails. In an outdoor area where different elements can be found, such as the pool, the garden, the porch, seating areas, and walkways, it is essential to create a link between them so that the visual harmony provides a sense of tranquility. A retaining wall is one that is built to avoid the earth pressure from generating the greatest horizontal efforts that tend to slide and tip over. To achieve the stability of a retaining wall, a set of forces must oppose to counteract the horizontal thrust and also the vertical forces transmitted by pillars or bearing walls. 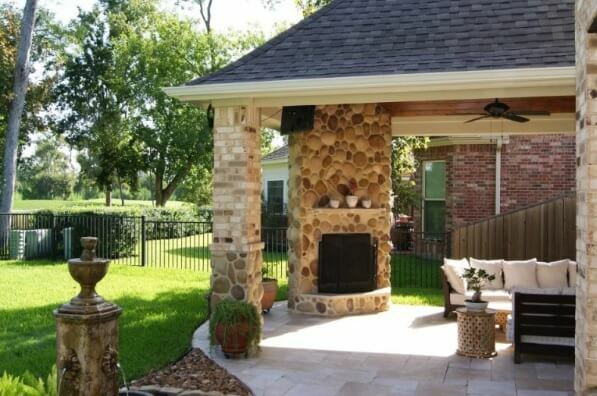 The retaining walls are an alternative for homeowners whose homes have outdoor entertainment centers to enjoy. Installing such walls allows the owner to have more possibilities without overfilling the area. In garden design, retaining walls are an integral part of the landscape. In addition to serving as the control of the land located on slopes, they might also have a decorative purpose. 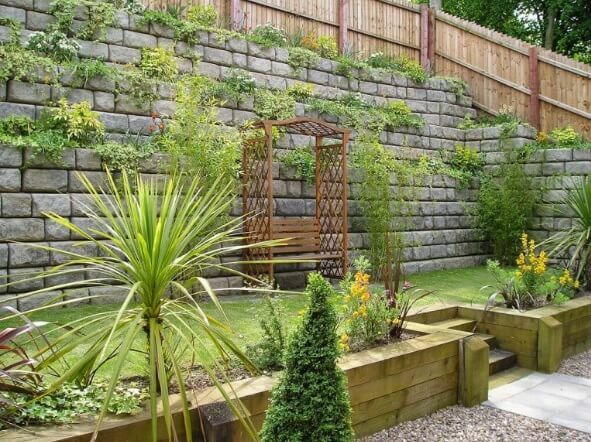 Installing walls to separate different environments in your garden creates an orderly setting. You can separate an area where there are flowers from an area where the lawn predominates. Depending on the material of the wall, you’ll be able to plant flowers or find other decorative methods. If it is a stone wall, combine it with some plants spread around it to give your garden an elegant look. Natural stone walls in garden design, add a great sense of continuity over time. They give the possibility to cover curves in the ground since we can place the material in a more flexible way. We cannot achieve this with wood, due to its inability to bend. Pine is usually preferred when creating retaining walls. The pressure-treated pine is ideal for a relatively inexpensive wall. The natural texture of the wood compliments the garden much better, unlike concrete and other materials. But, we must also keep in mind that despite being treated, moisture and mold can damage it over time. 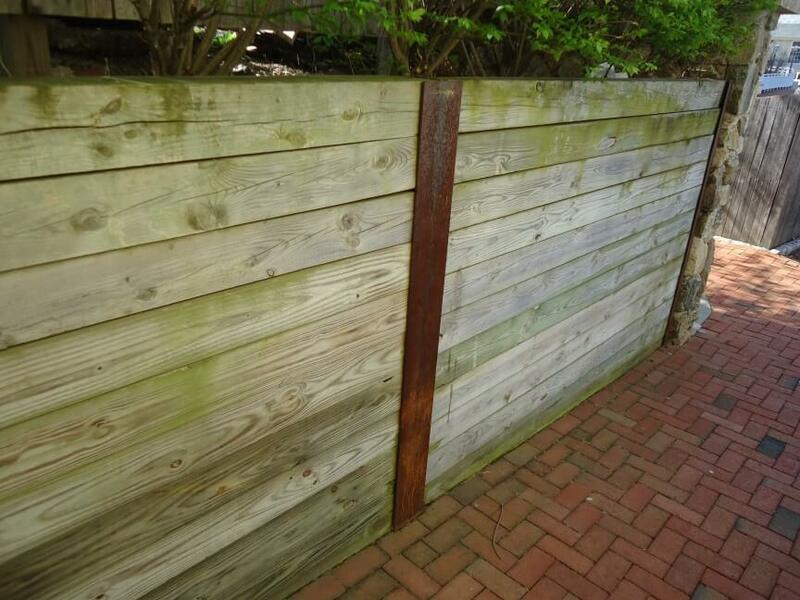 Wood is probably the least expensive option for retaining walls, but the main factor to consider is longevity. In garden design, wood should be used for low-rise walls. However, in areas with good drainage, you should opt for a more resistant material if your wall is greater than two feet tall. You can also create a wall of remarkable height. You can divide up the zone by creating different places. The area of the wall can be dedicated as a comfort zone with pretty patio furniture or tables and chairs. You can also place an outdoor fireplace where you can relax after a hard day’s work while viewing the rest of the garden. In the design of gardens, we must often deal with minor landslides and this is where the retaining wall is very useful. The mere fact of adding flowers and plants soften the texture of the wall, especially in those cases where the wall is made of concrete. Outdoor entertainment centers with barbecues and kitchens, evoke the flavors and atmosphere of the summer. 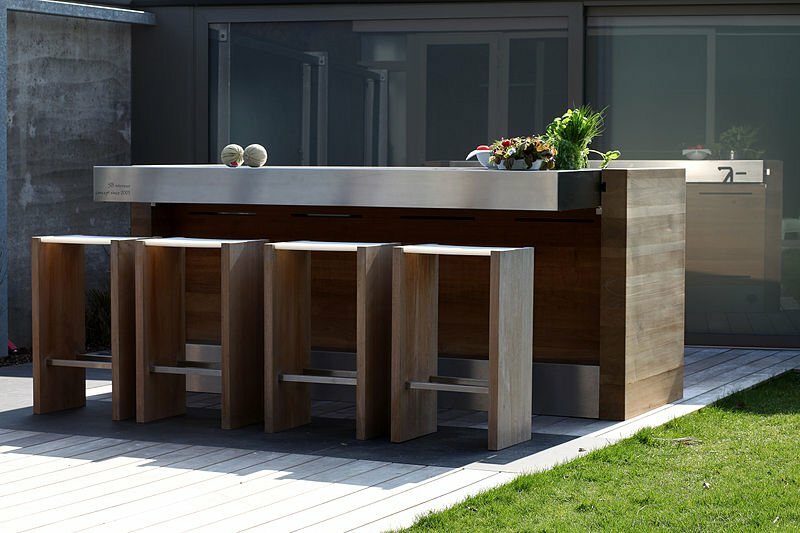 For moments of fun with family and friends, outdoor kitchens are really great. If your barbecue is made with high-quality materials and components, this will provide a lifetime of enjoyment. Most barbecue grills and outdoor appliances are made of stainless steel and designed to withstand harsh environments. 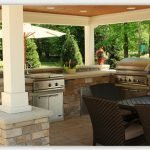 Outdoor living spaces, whether large or small, can benefit from a proper outdoor kitchen, thanks to the many customization options that suit all budgets. Outdoor kitchens are much more than a place for barbecues. You can build your entire outdoor area around the kitchen, adding outdoor furniture, cocktail tables, dining chairs, patio heaters, gazebos, or even cabanas. A comfortable outdoor paradise. Outdoor cooking eliminates persistent odors inside your home. In addition, it will add to the value of your home; kitchens in the garden have a high rate of return on investment. If you are handy and comfortable doing home improvement projects, you can save money by building the kitchen yourself. However, for aspects such as plumbing, electricity, and gas, it is best to consult a professional. If your outdoor kitchen includes a sink, you will need a water line that is connected to your home water supply or is fed through a hose. Normally you only need a cold water line, unless you want to wash the dishes outdoors. Do not forget to include plenty of electrical outlets for lighting systems, grills, refrigerators, etc. which require electricity to operate. We recommend hiring a licensed electrician because they know the local codes and may ensure that the wiring is compatible. While you are gathering outdoor kitchen ideas, try to think of it as an extension of your home. Why not have the functionality and comfort of your indoor kitchen? 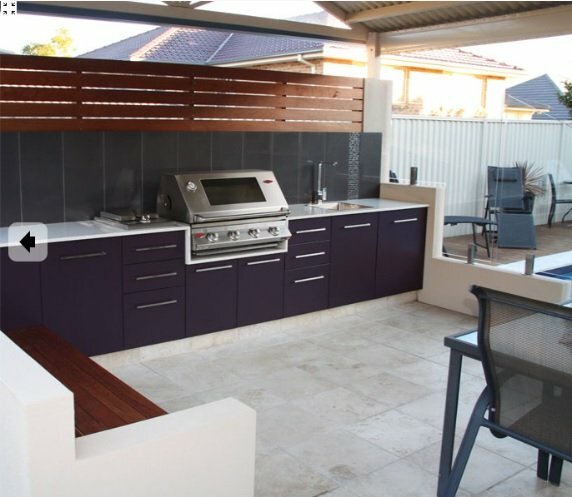 Before buying all the equipment and creating a layout, consider what you want from your outdoor kitchen. Do not forget to plan proper storage: garbage containers and paper towels holders — which are very useful and can help eliminate unnecessary travels indoors. Hi. I am a blogger about makeup in New York. I love garden. I really want to have a small garden. Thanks for sharing.